Probably one of the very best lures ever created on this planet are crankbaits! There is nothing else that can be fished in so many different ways, and can adapt to every kind of circumstances, than a crankbait. You can jerk it, twitch it, cast it, or troll it. There are plenty possibilities. The history of men fishing with crankbaits dates back a very long way and they will be always succesfull no matter what. There are all kind of different shapes and sizes available on today’s market and each one has their own distinctive way of swimming and action. Litterally, there are tons of different lures for you to buy. Some are good, some are bad, and some catch fish while others don’t. Let’s talk about Crankbaits & Esox! But why crankbaits? Imagine yourself being on the water, trolling and following a specific underwater ledge or dropoff. With a crankbait you can do this very securely and you can always depend it’s running the exact depth as you set it to. How? If you are not using a line counter reel, and you have a crankbait on that runs 10ft, and you want to be certain it does really run this deep, search for the nearest dropoff at 9,5ft to let it hit ground! This is especially important in late fall and during mid winter times when fish are often found at specific types of depth, and not being so active. You can present your crankbait right in front of their nose, or within striking range of any active Esox around! By looking at your fishfinder you can see at what depth the baitfish are in, and if you are seeing any big arches above, in between, or down below. If so, choose a lure that run’s at that exact same depth and you’ll have a perfect presentation! Yes Pike will come up to grab a lure wich swims higher or lower than they are, but on some days they just want it this way. It’s always being claimed that because of the fish it’s eye position, that they will only strike lures that positioned above them, but I’m highly convinced that they will also take lures underneath when circumstances are right and they’re on the hunt. But if that’s not the case, the only option remains and that’s precision trolling, and it will pay off, because Pike love easy meals! Mostly when buying a new lure, the swimming depth is shown on the lure package. Other times it’s not and you’ll have to find out yourself. 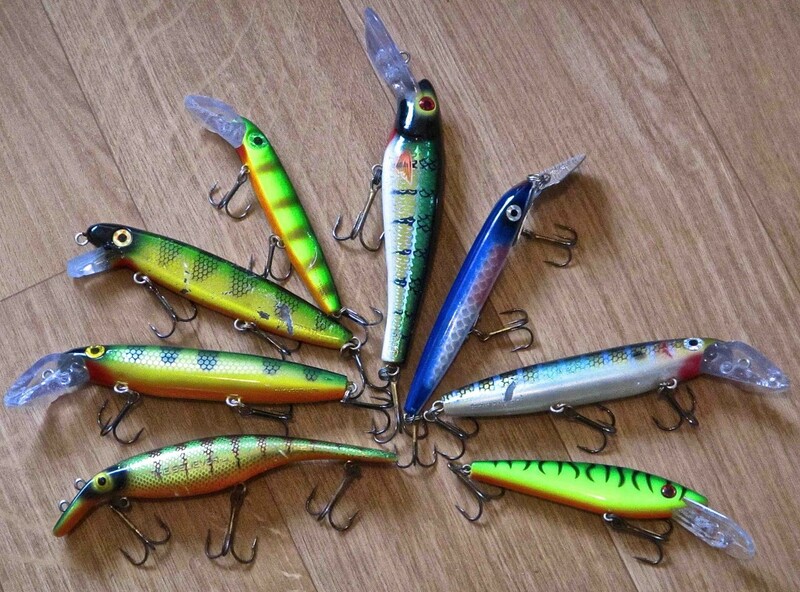 Shallow swimming crankbaits cannot dive as far as deep diving crankbaits, unless you put a lead weight to them, wich ultimately will make them deep diving crankbaits as well. But deep diving crankbaits can be fished shallow, depending on many factors like how many line you got out, speed, line diameter, and the position of your rod tip to the water. A thicker line will let the lure run much more shallow than a thinner line diameter will. It’s all about the resistence of the line in the water, and that’s exactly what makes fishing with crankbaits so much fun! You can feel exactly what is going on down below. It’s kinda similair to vertical jigging, but now you are doing it horizontally! The action that can be found in any type of crankbait comes from the diving lip that forces it’s way through the water column. The action not only depends on the angle of the crankbait’s lip, but also on the shape of it, and what better example can be given than a flanker! Traditional flankers like a Grandma, ShallowRaider, and not to forget about a Jake all have a side to side rolling and ”flanking” action, mimicking a dying or wounded baitfish. 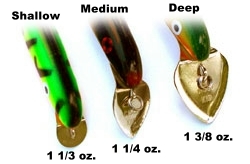 But because of the diving lip’s shape, each one of these 3 described lure’s do their own dance, to drive any kind of Esox, wether it be Pike or Muskie absolutely crazy! The ShallowRaider is a great all year round bait, and I never leave home without one. But on some days they just want something else and I put on a Jake or a Grandma to seal the deal, and you can use them in a variety of different ways. Twitching, jerking or slowly or fast retrieves by the rod tip can make any flanker go wild. And watch the action when you are reeling it in slowly. Great isn’t it? 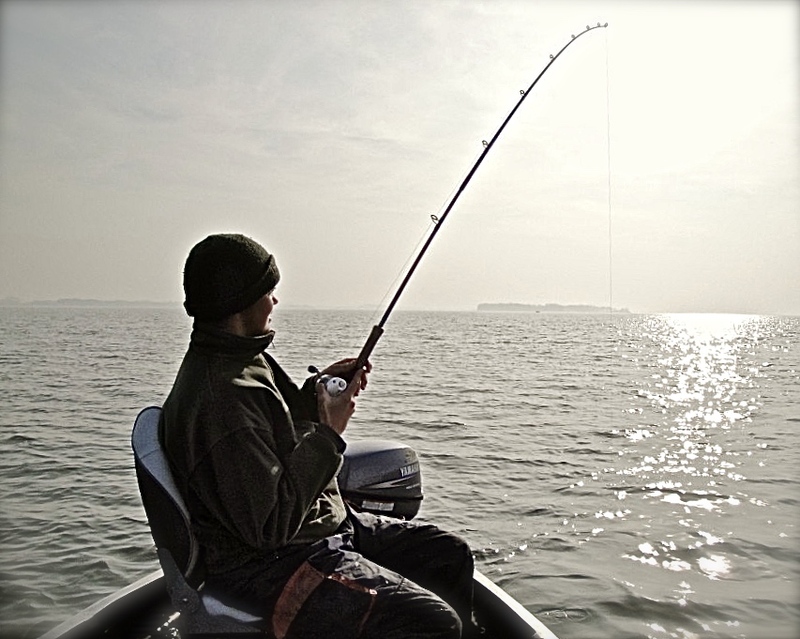 When the fishing is slow, speed up the process to trigger strikes. One other positive thing about these flankers: they move alot of water, and will be noticed quicker. Wich size you put on depends on what season your’e in, but thing is for sure, you can’t go wrong and they will all catch fish!! Joe Bucher ShallowRaider, one of THE best flankers ever created! On the other hand, there are crankbaits with a tight or wide action that can be put into business when the kind of flankers mentioned above do not work. It’s the joy of todays fishing, that there are soo many different crankbaits you can choose from, each having their own charm. A lot of books have been written about this, but one of the very best, and a book any serious lure Esox angler should have read is a book written by Hall of Fame Angler Joe Bucher on Crankbait Secrets Wich lure you’ll buy eventually, will depend on the waters you fish in. It doesn’t make sense to fish with a large 10” sized crankbait on waters where there are only small fish, and vice versa. Of course there will be and are always exceptions, because one of my biggest fish have been caught on small lures, but the way it happends is something you really can’t keep track on. You will ultimately catch bigger fish with with bigger crankbaits, but also small fish will hit one… It all depends on what the fish want. That’s how it is, and how it will always be! So bear that in mind. There’s thing that I carry out alot in Fall or Winter conditions, when alot of baitfish gather in packs close together. 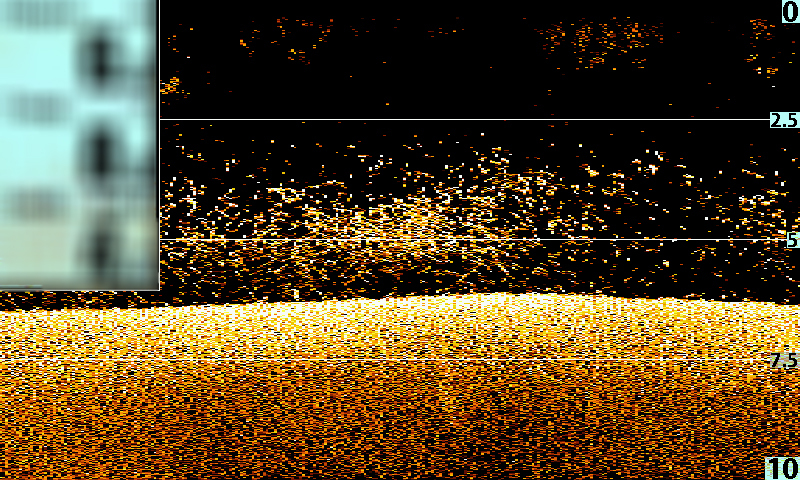 This mostly occurs in deep water, and you can find spots like these by looking at the screen of your sonar. Fishing these type of places will definately hold Pike, as their favourite food is withing striking range. When casting or trolling your lure through these schools of baitfish, you want to cause some disturbance underwater. What better way to do so with a wide or tight action lure! These type of lures have alot of vibration in the water, and will drive any school of baitfish apart. The unexpected behaviour is noticed by the Pike, and you’ll know what comes next right? It can be the trigger to put them from a steady hold, onto feeding mode all of a sudden! Some baitfish waiting to be awaken by a wide action lure! Like mentioned earlier about the various different types of crankbaits and their diving capabilities: be as creative as you can possibily be! Try and experiment with different lengths of line out, when fishing, and find out what is the max of each lure, and wich speed it’s best fish at. The same goes for colours and you should always aim to choose what the fish want on that particulary day. In the USA, there is a device available wich tells you exactly wich colour works that day. It’s called a Colour-C-Lector. It shows you wich colour is best viewed to fish at the depth you set it to. No matter what the species. I’ve never used it, and probably never will, but it just explains to you how big of a deal colours or contrast really is. It can make or break your day! When waters are turbid or stained caused by high winds, or big time rains, keep in mind that Esox have a side organ on wich they can perfectly ”feel” the movement of a crankbait to the water. So nothing will go unnoticed. And that’s another thing to think about, because on waters with a high fishing pressure, alot of people use the same crankbaits all the time, the fish have already seen or felt them over and over again. And the only way you can seperate yourself from this is speed control, or use different types of crankbaits! Any type of lure will have a different action when pushed to it’s limits by speed. Ultra slow trolling will have a different effect than speed trolling, and this is the only way you can still catch fish on water with smart Esox around! Another type of fishery that I like to do when the fish are stuck in the mud during winter, is bottom bouncing. I put on a crankbait that runs deeper than the water actually is, and let it bump on and alongside the bottom. This will cause alot of noise underwater and can be the trigger for any fish to strike when fishing is really slow, and fish are sleepy. So many techniques are possible, and you are the one in control. Choose wisely, put on a lure you think the fish want that day. Dare to change and be innovative when it comes to fishing with crankbaits for Esox. 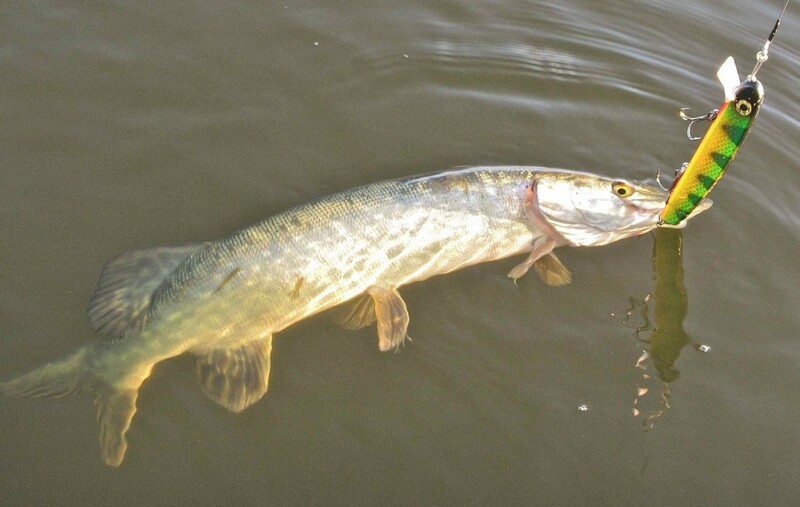 If you are new to fishing for Pike and Muskie, you might want to try different things. The reward will be there in the end! !